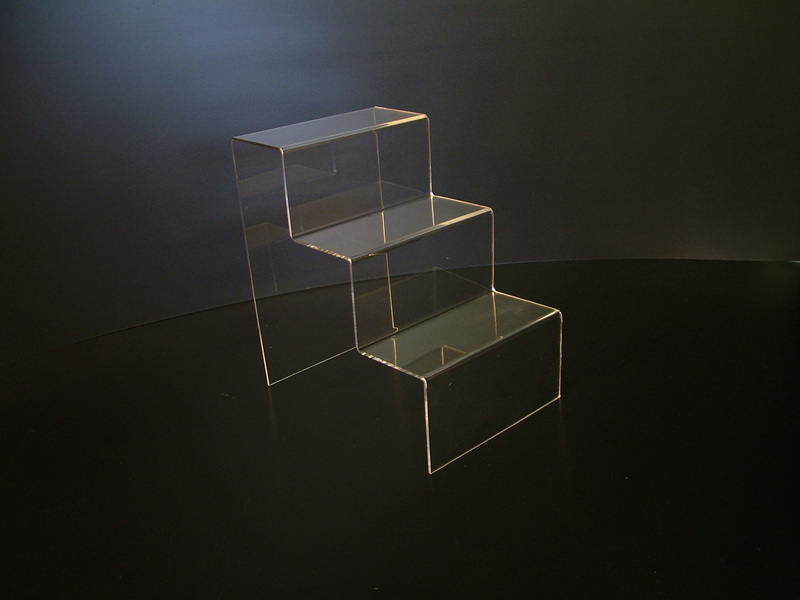 This 2 tier step is ideal to display footwear and other items. They are manufactured from 3mm clear acrylic. The large step is large enough to display any shoe size. If you have any questions about 3 teir acrylic displays, please call UK Shopfitttings Ltd FREE on 0800 2707615 and we'll be happy to help.